The election of the new President of Vanuatu will be held on 03 July , 2017 to replace late President Baldwin Lonsdale who died suddenly in the early hours of Saturday, June 17, at the Vila Central Hospital in Port Vila. The writ for the election of the next Head of State to the Electoral Commission to organise and hold the election was signed by the Chief Justice, Vincent Lunabek, on Monday, June 19. It was made public through Radio Vanuatu and other media sources an hour after the plane that took the President’s body left Port Vila for his home-Province of Torba in northern Vanuatu for burial. The writ commanded the Electoral Office to make all necessary arrangements for the holding of such election in accordance to the law and directed that the poll be taken on the 3rd day of July, 2017 in the National Parliament at Port Vila, Efate. 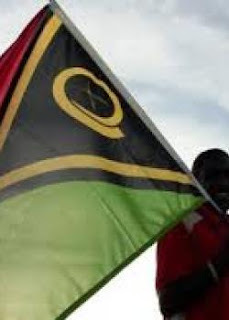 In accordance with the issuance of the writ, the Electoral Commission subsequently issued a Notice for the election of the new President of Vanuatu. “Following the sudden passing of His Excellency the late Father Baldwin Jackson Lonsdale, President of the Republic of Vanuatu, and following the vacancy in the Office of the President, the Chief Justice, Vincent Lunabek, pursuant to Section 1 and 2 of the Election of the President Act (CAP. 104) has issued a writ for the election of the President on the 19th of June, 2017. “The date for the election of the President is Monday, the 3rd of July, 2017,” said the notice. “Nominations for Presidential Candidates pursuant to Form B (section 3) may be lodged with the Town Clerks of Municipalities or with the Secretary Generals of Local Government Councils or with the Principal Electoral Officer at the Electoral Office in Port Vila by 4.30pm on Wednesday, the 28th of June, 2017. The notice was made in Port Vila on Tuesday, June 20, 2017 and signed by the Electoral Commission members – Martin J. Tete – Chairman, Linnes M. Tarianga – Member and Pastor Shem Temar – Member. The Electoral College that will vote a new President is made up of the 52 Members of Parliament, the Presidents of the Local Government Councils of the six provinces and mayors of the three municipalities of the country.